If you or your breadwinner stops toiling at work, there will be no food at home. But if the farmer stops tilling the soil, there will be no food in the world! No wonder Daniel Webster had said, “The farmers are the founders of civilization.” With the population only increasing and the number of farmlands decreasing, the importance of framers has only escalated. Secondly, if there were no farmers, would you still have the privilege of opting for a white collar job? No, instead you would have to grow your own food and your kitchen garden would soon become your workplace. Imagine, if everybody had to grow their food, from scratch, we would be transported back to the ancient times where the man had no other occupation. 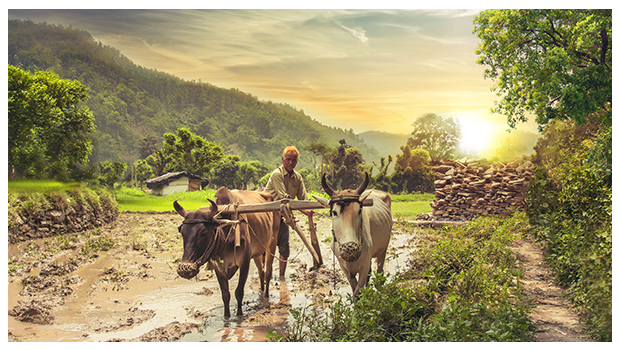 Our farmers not only provide us with our daily fuel but also facilitate our careers and make our modern lifestyle feasible. Thirdly, farmers, especially the small-scale or organic ones, contribute a lot in shaping our world. It’s their produce that makes sure you receive the right food – free from manmade chemicals, harmful pesticides, and poisonous fertilizers. Such organic food is what ensures that you get the right nutrients without causing any damage to your health. Fourthly, with urbanization and deforestation on the rise, the role of farmers in sustaining the environment becomes even more relevant. Whenever a farmer opts for organic agriculture, he contributes to curbing climate change by reducing the emission of greenhouse or carbon gases. He also improves the quality of the soil for the future harvests. So, even the smallest of farmer helps in preserving the environment and promoting sustainable development. The recent 25 km march to Ramlila Maidan by about 8000 farmers from all across the country only goes to show the gravity of their situation. Many of them desperately need their loans to be waivered and better market opportunities. As responsible citizens and compassionate human beings, it becomes our duty to support them, especially since they lay the foundation of our society. Farmers shape our world. Now let us shape theirs. Go organic. Summing the link between organic agriculture and welfare of farmers, renowned actor, Robert Patterson, had said, “If we as a society are willing to have a preference for organic food, the farmer can pass on the savings.”Click here http://www.24mantra.com/what-is-organic/ to know how organic farming can actually elevate the situation of farmers.